Dupont Circle is located in the Northwest section of Washington DC at the intersection of many streets: P Street, 19th Street, Massachusetts Avenue, Connecticut Avenue and New Hampshire Avenue. 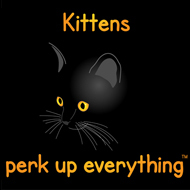 In addition the Washington Metro Dupont Circle Station is located beneath it with an exit to the south along 19th Street, NW and one to the north along Connecticut Avenue, NW at Q Street. One of the centers of Washington DC’s nightlife, the Dupont Circle area is home to many shops and restaurants including many ethnic restaurants. 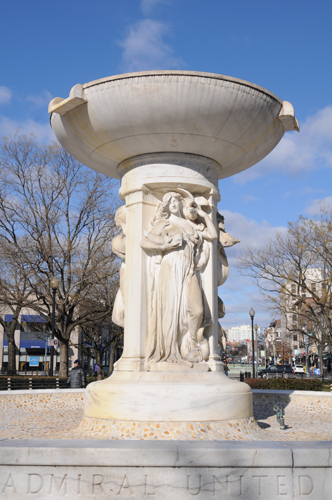 The fountain, placed in the center of Dupont Circle in 1921, was designed by Daniel Chester French and Henry Bacon. They also designed the Lincoln Memorial. The three figures on this fountain represent the sea, the stars and the wind. In more temperate months (not January), the park that is Dupont Circle is an active gathering place where musicians and other turn up to perform. Click Here for Google Map showing the location of Dupont Circle Park. Closest Metro Station: Not that this isn’t obvious, but the Dupont Circle Metro Station on the Red Line is nearest to Dupont Circle.